The UK retailer BHS has failed to find a buyer and went into administration today, putting 11,000 retail jobs at risk. Retail analysts have been quick to point out a series of issues with this troubled shop. These include a huge pension “black hole”, enormous rent and rates commitments, and a tired offering within its shops. However, one issue that only gets the occasional mention in media coverage of the BHS failure is “online shopping”. Often, the reports say things like “oh, and they have had to contend with online shopping as well”. That is not entirely true. Face facts. Nine out of ten items we buy are purchased in the “real world”, not online. It is true that there is a massive increase in online shopping, but a gazillion percent of not very much is still not very much. Yes, online shopping is growing rapidly, yes we are all spending more and more online each year, and yes, we love the convenience of Internet retail. But, we still love the real world. The problem for BHS and other retailers is that they have not taken into account how the online world has changed and shaped our expectations of the real world. For instance, consider the world’s number one consumer site, Amazon. It has loads of navigation options, but the majority of people just type what they want into the search box. You walk into Amazon and within seconds, you can see what you want. Now, translate that into the real world High Street shop. You walk into the store and……and…..yes, it takes ages to find what you want. There is no “search” facility in a High Street shop. Yet for the majority of people, their daily routines on the web mean that their minds expect to be able to find things in an instant. Real world retailers need to translate that into things like better signage, not to “revamp” the store every week to move things around, and to have a search app that we can use on our phones to find things inside each store. Similarly, online we are used to stock changing rapidly. One day we visit an online store, and we see “the latest thing” only to find a week later that there is a new “latest thing”. The Internet has made us much more aware that things change quickly. Yet, most of the real world physical stores like BHS are built around “seasons”. That is so old-fashioned and out-of-place. What it means is that bricks and mortar retailers have failed to consider adequately the drastic changes needed in logistics and fulfilment. The online world has made people want the latest “now” or even the out-of-season, “now”. Bricks and mortar retailers, like BHS, have not really responded to this shift in attitude. Speculation has already begun as to who will be next, after BHS. Will it be Marks and Spencer or even John Lewis, asks The Guardian. Such questions need asking. Eight years ago no-one thought a giant like Woolworths could disappear. Similarly, no-one predicted that companies without any retail background, such as Amazon, Asos, and AliBaba, would dominate online shopping. Traditional retailers have been very slow to adapt to the changes in the way people think and the attitudes to shopping that the Internet has caused. Instead, all they have done is recreate a shop online and added “click and collect” and said this is “integration” or it is the “omnichannel”. Frankly, it is neither; it is clutching at straws. 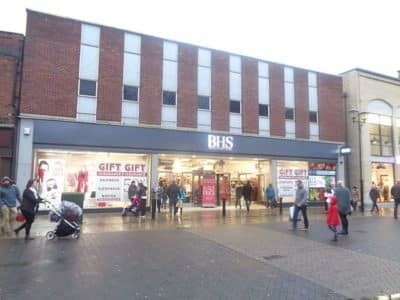 Until every business truly considers the way the Internet has changed the way people think and what they expect, then more failures like BHS are inevitable.